Until blockchain can produce an easily accessible, trustworthy model that clearly outshines cloud in security, it will be in catch-up mode. The blockchain industry, historically tied directly to cryptocurrency, has made a right turn in recent months. It has extended its legion of users to offer distributed storage. This threatens to undercut the pricing market established by cloud computing storage giants like AWS and Dropbox. Blockchain-based distribution storage is centered around the idea that there are large amounts of unused storage space on the hard drives of people all over the world. Using cryptocurrency as an incentive, blockchain distribution companies monetize that storage space for their members. It is an upgraded version of what BitTorrent was in the early 2000s, using peer-to-peer (P2P) networks to form an aggregate of computer resources. But with cryptocurrencies built in to blockchains as a method of payment, users have a monetary incentive to offer up their unused data space to consumers. Because of its extreme distribution of data - known as sharding - blockchain-based storage has the potential to be more secure than cloud-based storage. And by using the in-place hardware maintained by others, it can drastically cut the cost for the end-user. The biggest strength of blockchain-based distribution storage is that both sides of the equation benefit, making it more appealing and less apt for corruption. Those who offer their extra storage capacity for data receive payment in the form of cryptocurrency while the actual customers receive online storage at a reduced rate. Sia, one of the first blockchain data storage firms to go live, charges an average of $2/TB/month, a fee 90% less than AWS’s $20/TB/month. For 100TB/month, AWS, Google Cloud and Microsoft Azure all charge at least $2,000 while Sia offers the same amount of space for $200. The price reduction is a direct result of a far smaller operating cost. For Blockchain, there are no data centers gobbling up power and man-hours. The infrastructure is provided by the network of private computers housing the data. While cryptocurrencies have seen their fair share of catastrophic hacks over the past 10 years, blockchain storage appears more secure, making the data contained there within much tougher to tamper with. It distributes and encrypts every bit of information, but also puts the data in a sequential chain. Each block contains a cryptographic hash. If the blocks aren’t linked together in precisely the right order, the information cannot be accessed at all, much less broken into and decrypted. The handful of blockchain-based distribution storage companies already live are already suffering through growing pains - literally. FileCoin is thought to be the golden child of the blockchain-based distribution industry, having already piled up $52 million in a pre-ICO sale and another $205 million in the actual ICO in 2017. But the startup has admitted that it has not solved the problem of how to efficiently scale its model as new users and new farmers come on board. In January 2018, it announced it would not accept any new members on either side until a solution is reached, keeping FileCoin as the startup that hasn’t actually started up, for at least the next six months. For Boston-based Sia, scaling isn’t the problem, the initial entry protocol is. Sia’s current startup process for new users involves them first buying Bitcoin, then using that cryptocurrency to purchase its own Siacoins. The complication doesn’t stop there, however, as the Siacoins must then be sent to the Sia client software to engage the network. For the average person with no experience in buying cryptocurrency, this is a bit like being dropped off in a foreign country and asked to go make two complex financial transactions: The language barrier is stifling. For enterprise clients, it’s more a matter of best business practices. Most businesses still aren’t in the cryptocurrency market for fears of financial risk or a lack of regulations; therefore, they won’t even consider a solution like Sia that operates solely in crypto. 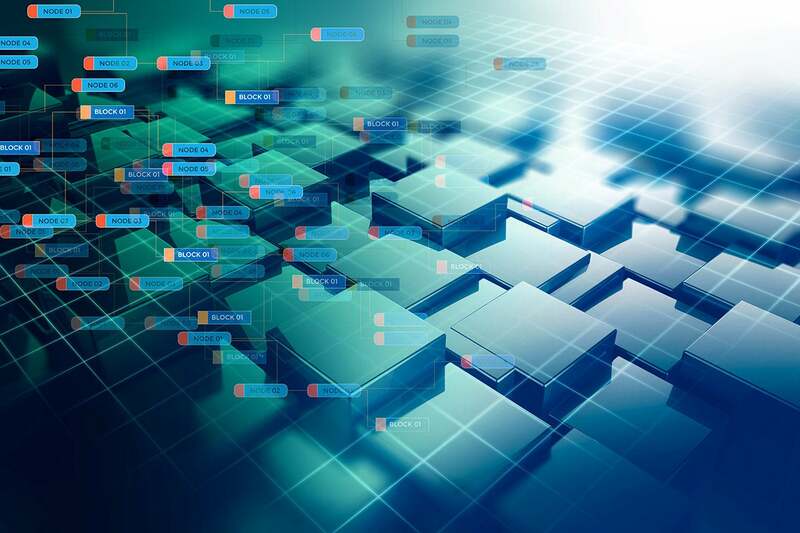 While there is definitely room in the storage market for blockchain-based distribution to make a splash now and become a player as time progresses, major hurdles and inherent bias will keep it looking up at its cloud equivalents for the foreseeable future. While the cloud offers the comfort of secure on-site databases maintained by paid professionals, blockchain’s biggest weakness from a perception standpoint is that your data is being kept in the homes of hundreds or thousands of unknown crypto farmers. The reduction in price will convince many users that blockchain is the route to take and may eventually force cloud storage companies to rethink their own price structure. But until blockchain can produce an easily accessible, trustworthy model that clearly outshines cloud in security, it will be in catchup mode. Marty Puranik is the founder, president, and CEO of Atlantic.Net.